When typing on the iOS keyboard, you can see the key you press pop up in a little box for a brief moment. The feature lets you make sure you’re tapping the key you want without needing to check the text entry field after every letter. On macOS, no native feature can replicate the iOS functionality. But that doesn’t mean you can’t make it happen at all—you just need some third-party software, and the best app for the job Keycastr. It is free to use and is entirely open-source. 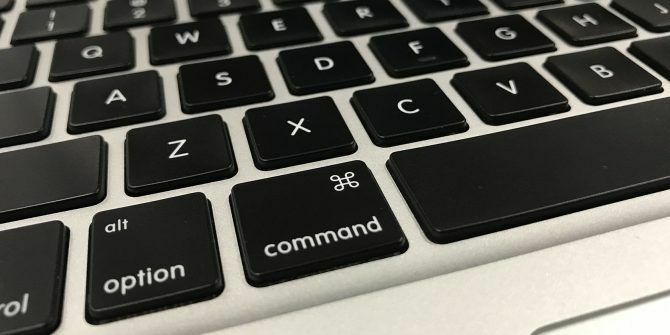 Using Keycastr to display your keystrokes in a small window on your Mac’s display is straightforward. Follow the guide below to get started. Note: Keycastr requires accessibility permissions. If that makes you uncomfortable, please do not proceed any further. Go to Apple > System Preferences. In the new window, click on the Privacy tab. On the menu on the left-hand of the screen, choose Accessibility. Choose Keycastr and confirm your choice. Once you’ve made the necessary tweaks in the operating system, it’s time to launch the app. You can customize it in many different ways. Open the app’s Preferences menu. Choose the visualizer you want to from the drop-down menu. Adjust the sliders to suit your needs. We really like the Svelte visualizer. It will only show on-screen when you’re holding keys such Cmd, Option, Control, and Alt. If you would like to learn more about open-source software on Mac, check out our list of the best apps available The Best Mac-Only Open Source Software The Best Mac-Only Open Source Software When most people think open source, they think Linux. But Mac OS X has its share of quality open source programs as well — and a bunch of them aren't available for Linux or Windows. Read More and our guide on how to bring the best open-source apps onto macOS MacPorts Brings the Best Open Source Software to Your Mac MacPorts Brings the Best Open Source Software to Your Mac The Mac is an excellent host for many of the open source community's best free tools, and MacPorts is your "app store" for all this great software Read More .